Euonymous is a genus of approximately 175 species of deciduous,semi-evergreen and evergreen shrubs,trees and climbers. Most gardeners are familiar with Euonymous fortunei cultivars though these are not considered suitable for bonsai cultivation. 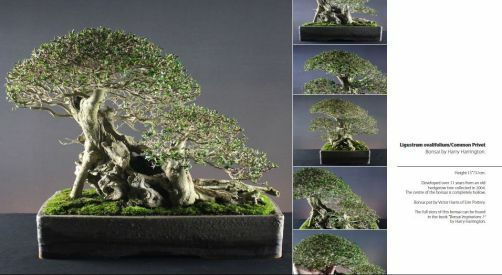 There are however a number of very suitable species that make excellent bonsai. This is a dense bushy shrub with ovate, toothed dark-green leaves to 7cm long that turn a brilliant dark-red in Autumn rivalling the Autumnal displays of Japanese Maples. Small orange fruits are carried on the undersides of the branches and the ridged, bark has strange cork 'wings'. (The purpose or reason for these cork wings has still never been discovered). Originating from woodland and thickets in China and Japan, the winged spindle can reach heights of 2metres with a 3metre spread. Very similar to E.alatus, E.europaeus is a broadly conical deciduous shrub or small tree with spreading, slightly pendant shoots. It bears oval, scalloped dark-green leaves to 7cm long that again have a beautiful red Autumnal colour. E.europaeus bears red seed capsules and can reach heights of 3metres in its native Europe. Tree-like, deciduous shrub bearing ovate, scalloped, mid-green leaves up to 12cm long, sometimes with sharp points. The leaves turn yellow, pink or red in Autumn and displays pink-white fruit. The Japanese spindle is more vigorous than E.alatus and E.europaeus reaching heights of up to 6metres in its native Korea and Japan. Position Good light area without too much direct sunlight in the summer. Euonymous are reliably hardy but require some frost protection when temperatures drop below -5°C. Feeding Every two weeks from spring to late summer, for even better autumn colour withdraw nitrogen from mid-summer onwards. Repotting Annually in Spring as new buds extend, after ten years repot as required. Use basic soil mix. Pruning Trim new growth back to 2 or 3 leaves in Spring and continue to trim through the growing season. For very tight foliage and short internodes, pinch out top of buds as they extend. Propagation Sow seed outside as soon as they are ripe in Autumn. Root greenwood cuttings in summer. Pests and diseases Caterpillars, mildew and leafspot. Styling Suitable for all forms in all sizes except Broom.